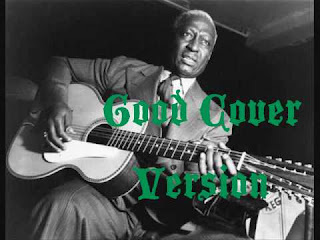 To me, "Good Night, Irene" is forever a Lead Belly song, even though it's just one of those songs that's emerged from the olden days of American folk. That voice of Mister Ledbetter conveys so much with every note, and just belongs with those downtrodden lyrics. It's his. Having already wowed with a Tame Impala cover not that long ago, the Lucius ladies dive in and try their collective hand at this treasured classic. Along with some acoustic guitar and vocals from a certain Roger Waters, Holly and Jess do serious justice to "Irene." Their entwined voices evoke fog-covered hillsides and lovelorn haints. If you didn't already know better, you might think you were listening to a 1930s recording of the song.